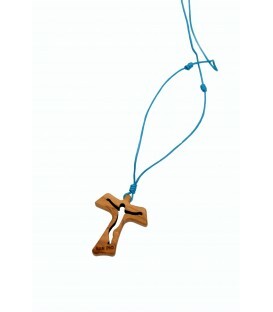 NECKLACE WITH WIRE ROPE COLORED WITH THREE KNOTS. 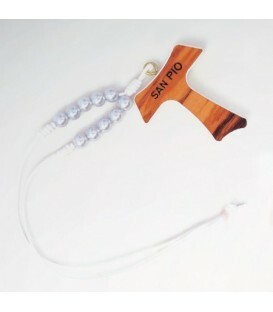 TAU OLIVE WOOD WITH HAND-PAINTED FLOWERS AND WRITTEN ON THE BACK: "SAN PIO". 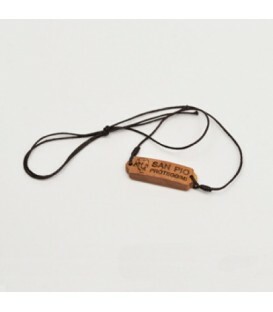 PADRE PIO NECKLACE WIRE ROPE NATURAL . 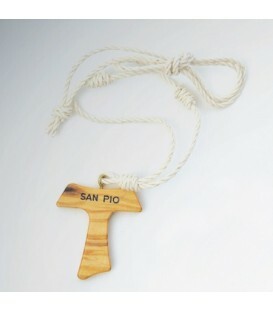 FORMED BY TWO KNOTS , TWO BEAN OVAL WOOD OLIVE AND CROSS TAU WITH WORDS " SAN PIO "
Padre Pio Necklace with natural Rope wire. 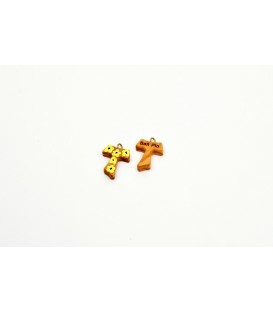 Olive wood plate. 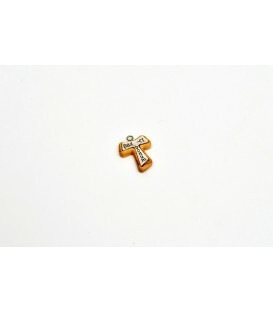 Image depicting Saint Pius silkscreened. 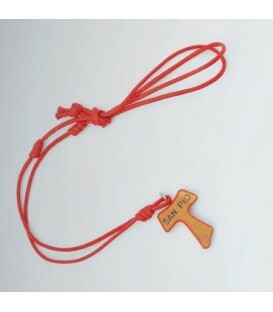 Printed inscription "San Pio protect me". 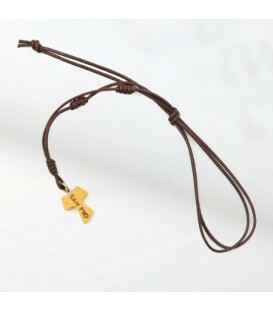 Necklace with colored Rope wire with three knots. 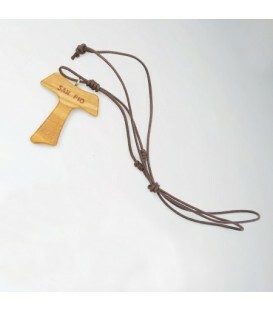 Cross tau in olive wood with inscription: "San Pio". 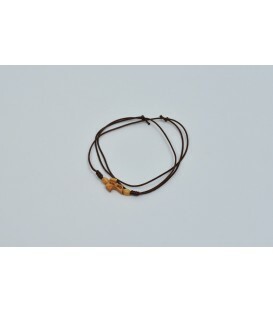 Wire rope necklace in white with three knots. 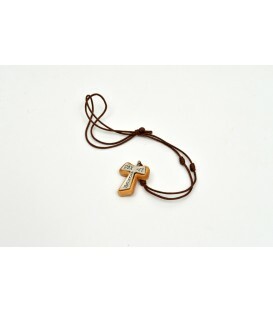 Formed by a dozen Rosary with resin grains. 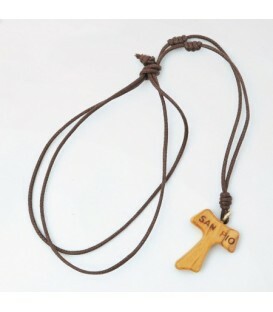 Cross tau in olive wood with inscription: "San Pio" and back "protect me".